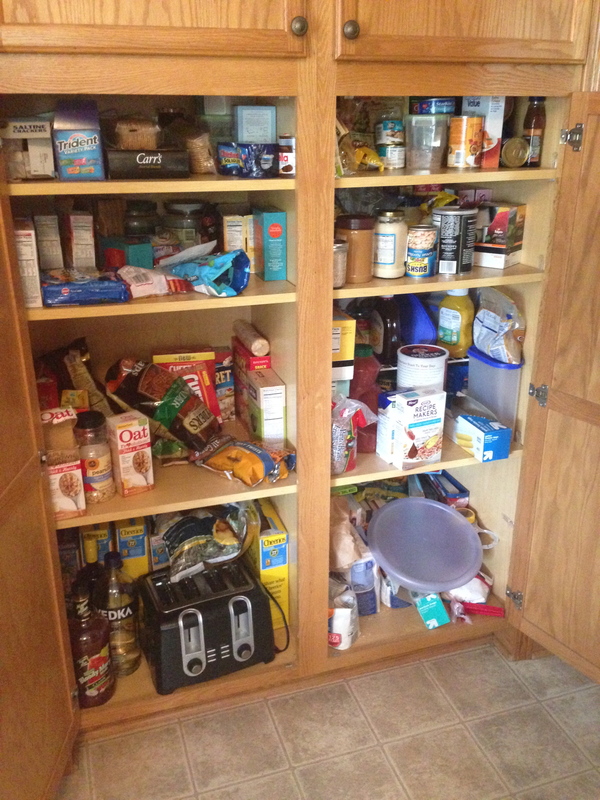 One of the many tasks I’ve been dreading, the kitchen pantry. I’m a food hoarder. It’s true. Until recently, when I started meal planning, I just bought whatever I “thought” we “needed.” With that we have a million cake mixes, cans of diced tomatoes and chocolate chips in our pantry amongst other things. There is no real need for these things, but if I were going to make something on a whim, I’d hate to be without the proper ingredients. 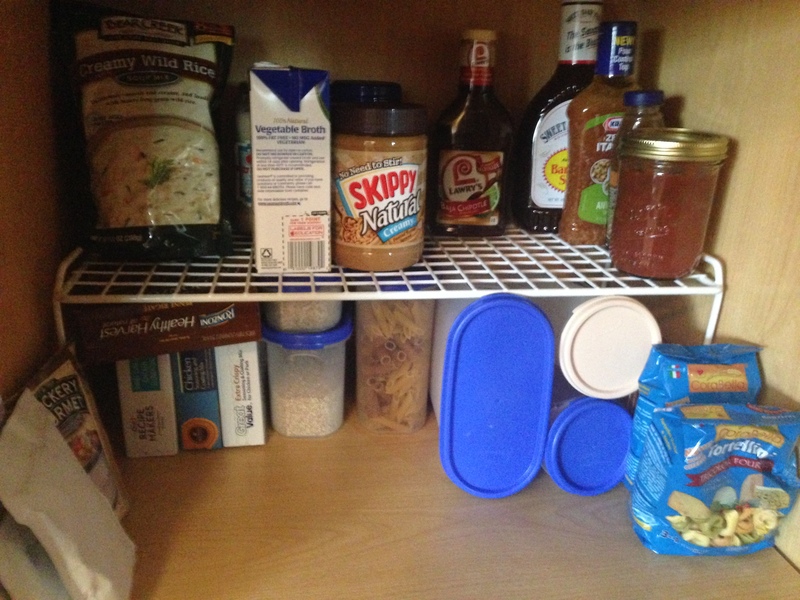 Our pantry is small with deep shelves. This is where problem number two comes in. I buy all this stuff and then the ‘old’ stuff gets shoved to the back. In essence I should rotate the contents like I do my white camis, but that’s just silly. It’s food, it’ll get eaten. Problem number three, it doesn’t get eaten. 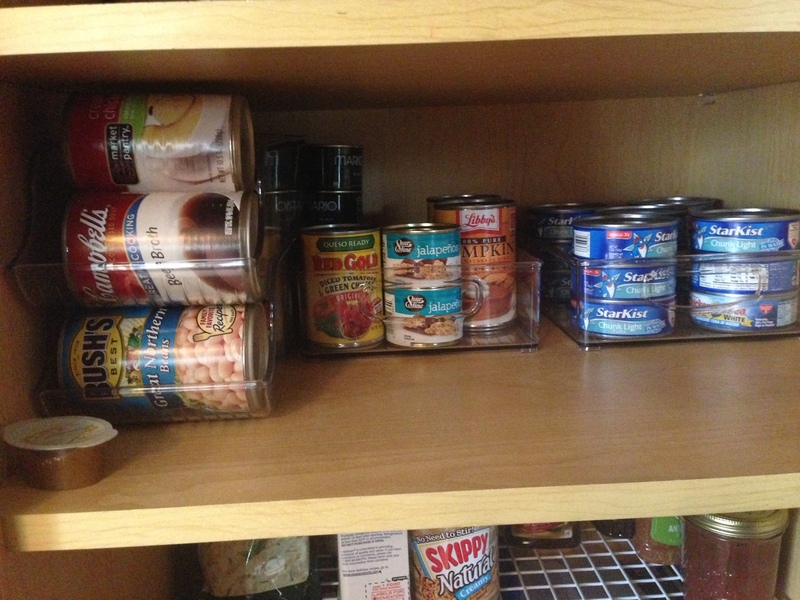 Well, I didn’t realize the extent of my food hoarding until I took everything out of the pantry. Mind you I did this when I was about four months pregnant, so it shouldn’t have been that big of a task. Well, I must not have done a good job because we had so much expired food in there it was embarrassing. 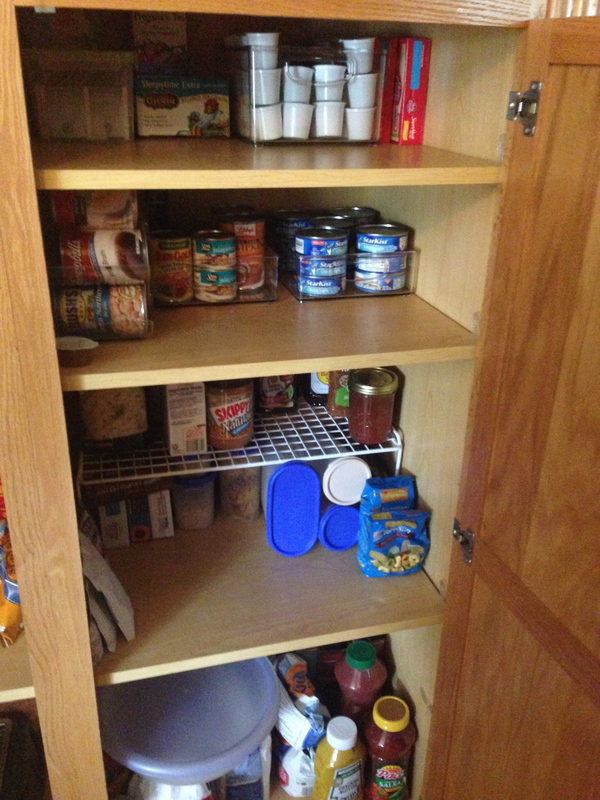 After a few hours, a beer and some much needed help from the hubby, I turned our mess of a pantry into an organized space. I underestimated the amount of bins so there’s still a little bit of work that needs to be done, but it looks MUCH better than it did. We can actually find what we’re looking for. 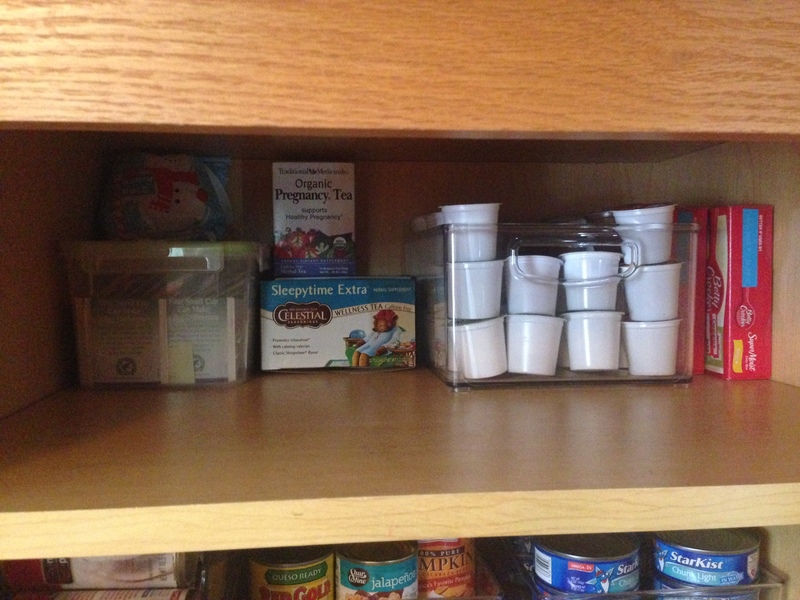 The area on the bottom right where my cookbooks and overload baking supplies reside needs a HUGE improvement. 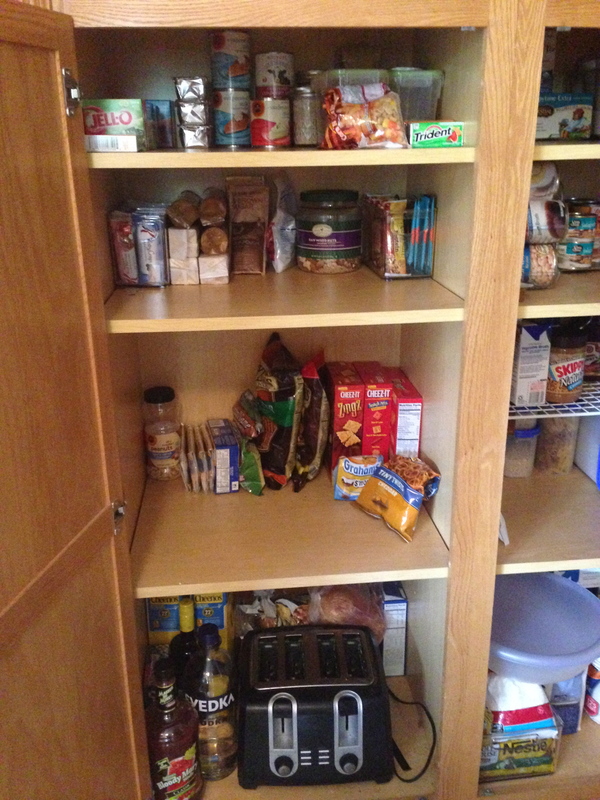 That might involve tackling the top space of the pantry, but that’s for another day! !